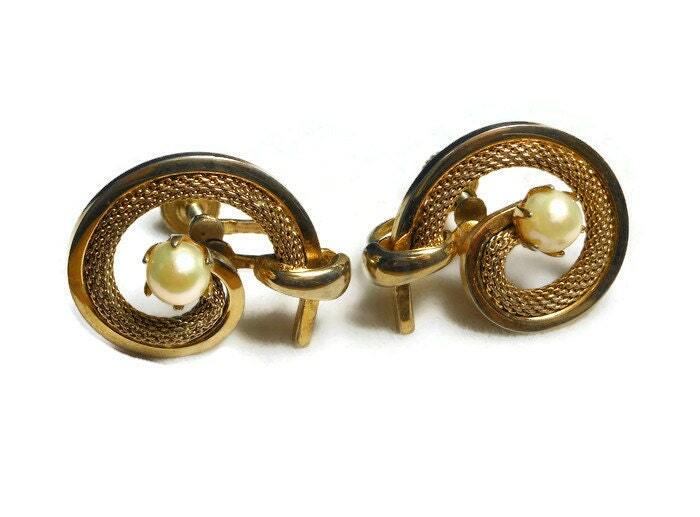 Mesh swirl earrings, gold tone earrings encasing a faux pearl signed Star, screw back. 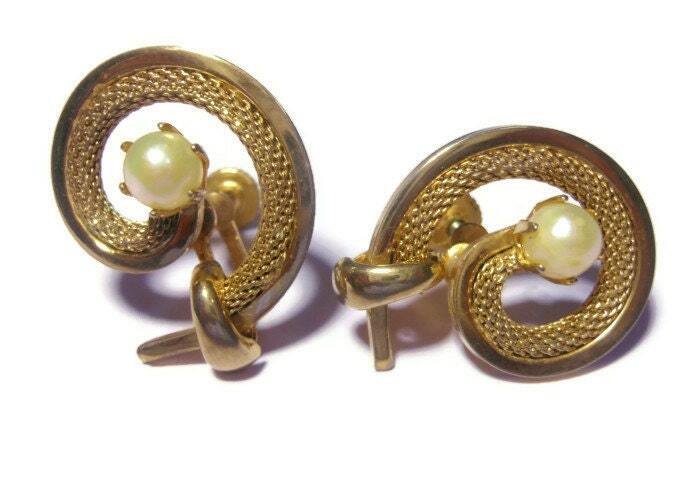 Mesh swirl earrings, gold tone earrings encasing a faux pearl signed Star, screw back.. 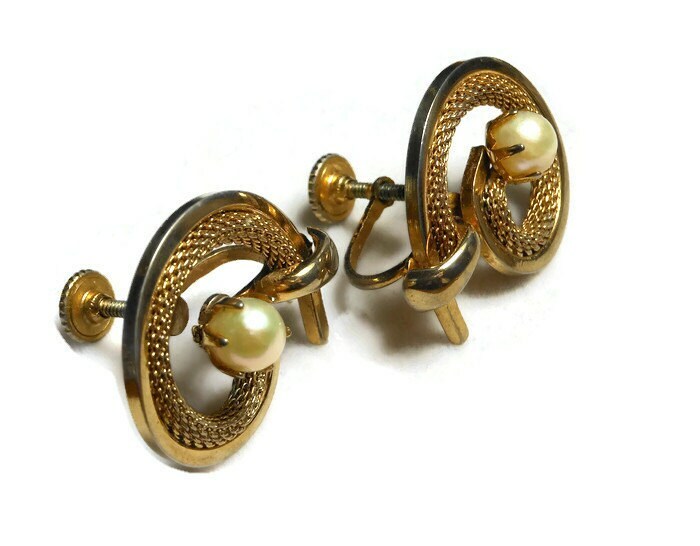 These classic earrings show you have style. 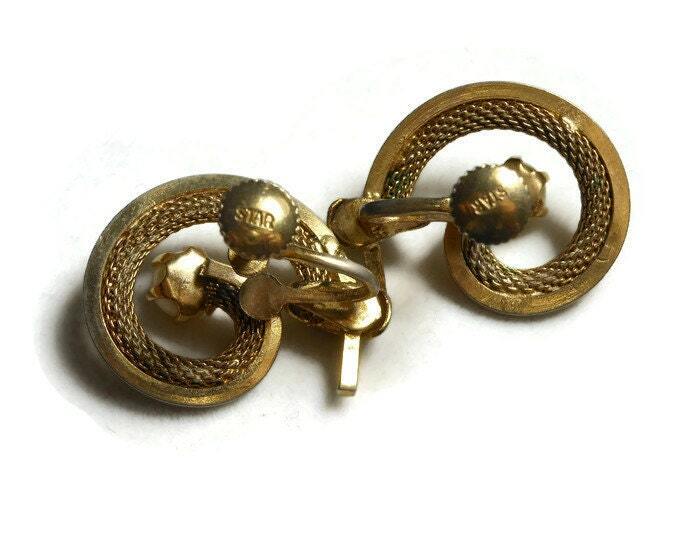 They measure about 1" (2.5 cm) and are in very good shape.